AfterTheBuilders Ltd. offers full range of handyman services in Notting Hill, W11. We can handle all types of tasks from simple odd jobs to complicated assembly jobs. Give us a call today! 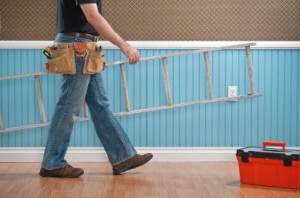 Do you need help with repairing or replacing something at your home? If you don’t have enough time or experience in fixing siphons, installing a new locker or fitting the blinds and the curtains, call us and book for our handyman services. We have such a vast experience that we can practically help you with every job that needs special tools or skills. Our technicians work seven days a week in Notting Hill, W11 and they will not waste your free time. Every damage or breakage will be fixed as soon as possible at a cost – effective price. Call an operator and get your free quote. It is not the first time I use handyman services but it’s my first time with your company. I have never welcomed such professionals and friendly folks in my home before. Your handyman service was a relief for me. I was in desperate need for a thorough inspection of my house, as I experienced some problems. Your workers were fantastic. Q: Are your handymen fully equipped? 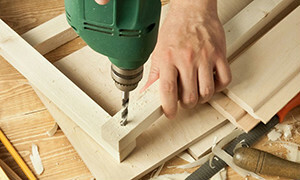 A: Yes, our handymen are equipped with wide range of tools and they can handle any task. Q: Can you deal with gas or electrical works? A: Our handyman can do small replacement tasks, but if you need electrician or gas safety engineer we can provide them too. Q: Can you come for a small job such as light switch replacement? A: Yes, there is no job too small for us. Q: Can you give me a free estimate over the phone? A: Sure, for the most common work we can give free quotes over the phone. For bigger projects we must come at your place to give you an estimate. The most experienced technicians in the area of Notting Hill, W11 are always ready to give you a hand whenever you need their professional assistance. They are proven, skilful experts, who have specialised in providing different handyman services. Chair assembly, handrails installation, furniture moving, socket replacement, installation of electrical appliances, locks, letter boxes and many more. Entrust us and we will perform all the tasks you consider to be tiresome or boring. We have all the necessary tools and equipment for every kind of project. Get in touch with us at your earliest convenience and schedule an appointment. Book for our professional handyman services and get every damage fixed without making your hands dirty. 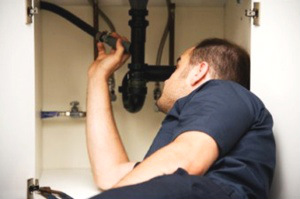 We have experienced technicians who can literary help you with every big or small electrical, plumbing or heating problem, install the handrails, change the light bulbs or the lock, repair the tap in the kitchen or move the furnitures for you. You can book with us every day, we work with no day – off and we cover the Notting Hill, W11 area as well as all the other parts of Greater London. We offer bargain – basement handyman services and we provide all the tools necessary for your service.